Over the last few years, we’ve seen parents successfully advocate for state legislatures to pass autism treatment insurance mandates. As of June 13th, 2012, thirty-one states have joined this important roster of jurisdictions with insurance parity for mental health coverage, with another twelve states in the process of making autism treatment health insurance mandates a reality. Autism advocates in Washington State are not sitting still and waiting for their state legislature to pass the law. In a class action suit, Washington State public employees have just won a big legal victory. Now all children with autism whose parents are insured through the Washington State employee healthcare plan (Uniform Medical Plan) are covered for autism treatment. These children are not the only group to be covered. 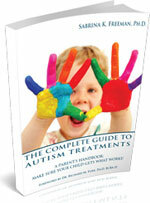 In addition, Washington State’s Group Health Cooperative is going to be covering another 800 autism families! I’d say that the parent advocates in Washington State are having a very productive summer!